I had an excellent stay at this hotel, the staff are very professional and helpful. It isn't too far from the airport and close to some of the cities attractions. 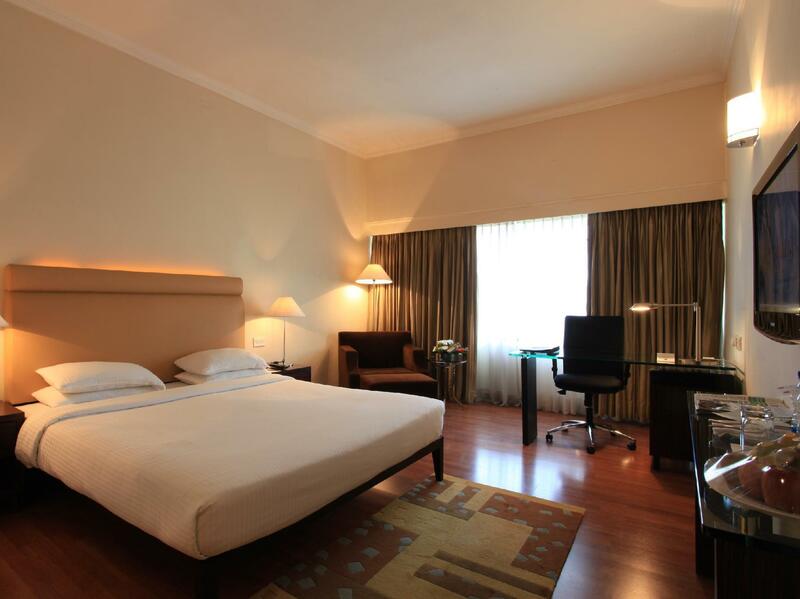 The rooms are clean and has an excellent breakfast provided with a wide variety on the menu. The gym is good and so is the pool. 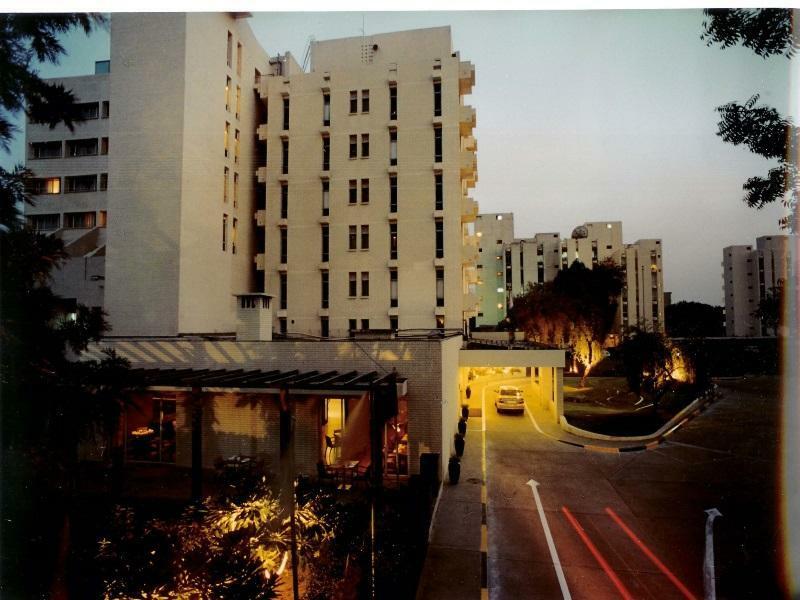 The hotel is close to Kutub Minar (local Attraction)and set amidst vast grounds. There was no traffic or other noise. The restaurant quality is also good. A hotel that deserves its four stars. Not very satisfactory. The front desk staff can have a smile in their face, show politeness, courteaous and realize that they are they there to help. AT least one of the guy at the desk during my stay was arrogant and was behaving as if he was the king of that place! I should say that the staff at the breakfast buffet were very courteous. If you want to walk around little bit, this is not the hotel for you. You could only leave the hotel on a hotel-arranged transport, which is expensive. seems safe, staff was courteous, quiet. It was ok. The pictures on the website show the place much better than it really is. The place is much more worn down than on the pics. It is located in the middle of nowhere, nothing around the hotel. Breakfast is ok, but served in a dark room with bad lighting. In general my stay is a good memory. It was good but wifi use in room is too high price. Its boring and it should be free. The problem with this hotel is not its location which is superlative. The problem is lack of investments to make this hotel more appropriate for the times. The staff is good and helpful. The rooms are well sized but the facilities are limited. The gym is small. The food is generally uninspiring. The air conditioning design being of the 80's blasts straight on your face giving you a throat ache by the morning. They have to upgrade to get a real thumbs up from me. For an express in-out stay its fine but for any longer you may be better off elsewhere. Had a great stay the pool was great staff were friendly enjoyable stay. IT IS VERY CLEAN HOTEL. IT IS VERY NICE HOTEL. IT IS VERY NICE LOCATED HOTEL. IT WAS NICE STAYING. I ENJOYED MY HOLIDAY VERY MUCH. IT IS VERY NICE HOTEL. IT IS CHEAP HOTEL. IT IS CENTRALLY LOCATED HOTEL. Comfortable stay, unfortunately we were not aware the hotel were undergoing renovations/refurb in the form of very noisy (DRILLING) construction work which made using the pool difficult at the best of times. They did finally on day 2 allow us a noise free couple of hours. Breakfast has a great choice of food including Indian. Room was very comfy and generally the surroundings are quiet and good if you don't want to go into Delhi but need to get to the airport. 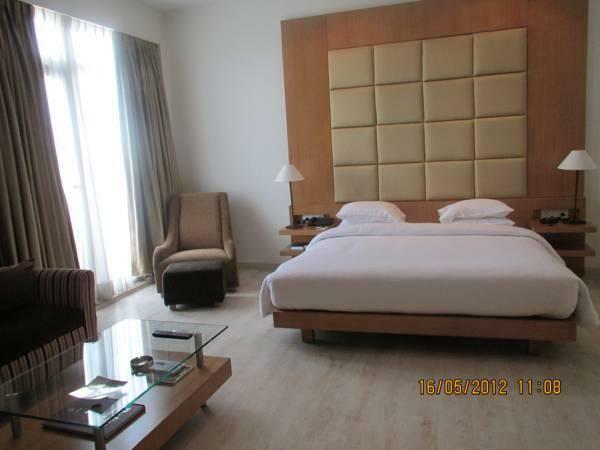 Qutub hotel is centrally located location but old hotel, rooms are comfortable but room service is very slow. zerzurra bar in qutub hotel is superb. That was a good hotel for the price. fitness center is nice, but i was disappointed that WiFi is not FREE!! I had a quiet and comfortable stay here for a one-night layover while in transit through Delhi's Indira Gandhi International Airport. The staff were helpful and efficient in arranging an airport transfer for me. it has a great location. the pool is lovely. the food is awesome. the service is horrible and it appears to be undergoing renovation. all is all - not the best experience although there is scope for possible improvement. overpriced for the service it offers. สถานีรถไฟใต้ดิน Hauz Khas - ระยะ 1.85 กม.